By Scott Shepard and John A. Charles, Jr. The Oregon Legislature is currently meeting, and the conventional wisdom is that reform of Oregon’s overly generous Public Employee Retirement System (PERS) is impossible. According to Governor Kate Brown, we signed contracts with public employee unions, a deal is a deal, and we should just quietly accept our fate that the massive cost of PERS will lead to layoffs and service cuts at schools and other service providers. The Portland regional transit district, TriMet, is not part of PERS and has been slowly reforming its pension program since 2002. As a result, 100% of all new employees are now in 401(k)-style pensions that have no long-term liabilities for employers. 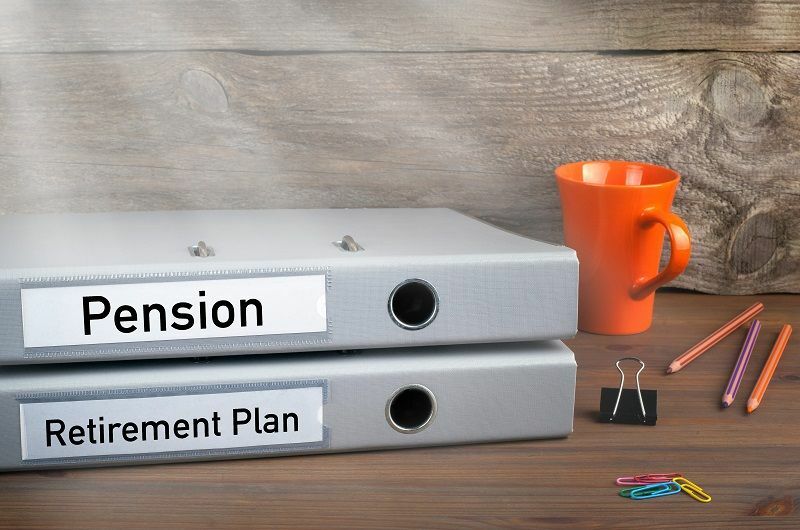 These are referred to as “defined-contribution” (DC) pensions in which monthly payments are made by management into personal accounts owned by employees. Once those payments are made, the employer has no further financial obligations. The eventual pension payouts will be a function of the market performance of whatever investments are chosen by individual employees. This stands in contrast to “defined benefit” (DB) programs like PERS in which employees are promised various levels of retirement payments calculated through arcane formulas that leave management mostly clueless about the level of funding obligation they’ve agreed to. In many cases, those liabilities turn out to be much larger than expected. The advantages for taxpayers of moving public employees into DC pensions is now evident in the actuarial valuations done for TriMet. According to the most recent valuation, projected annual benefit payments for TriMet DB pensions will peak in 2034 at $74.6 million, and then steadily decline to $6 million in 2072. They will hit zero by the turn of the century. This was not something that TriMet did casually. Management was forced into it because of decisions made a decade earlier that caused long-term retiree obligations to explode. TriMet Board members are appointed by the governor. In the early 1990s, Governor Barbara Roberts and TriMet General Manager Tom Walsh wanted public approval of a massive expansion of TriMet’s light rail empire and the tax funding to pay for it. They feared that controversy about a union contract could endanger public support. In their efforts to avoid strife, in 1994 they granted expensive concessions to the Amalgamated Transit Union Local 757 (“the ATU”) on behalf of its represented employees. Loren L. Wyss, the long-serving president of TriMet, objected and his battle with Walsh became public. In back-channel communications with Gov. Roberts, Walsh made it clear that either he or Wyss needed to go. In August 1994, Wyss met with Gov. Roberts, where he submitted his resignation. The die was set for cost escalation. In the decade from 1994 to 2004, salaries and wages increased 72 percent; annual pension costs went up 160 percent; and the cost of health care benefits rose 116 percent. These increases plus stagnant revenues in the latter half of the period resulted in a tripling of unfunded pension liabilities, from $38 million in 1993 to $112.4 million in 2002. Fred Hansen followed Tom Walsh as General Manger; and he moved new, non-union hires into DC pensions after 2002. This was a first step towards fiscal sanity. Resistance from the ATU kept TriMet from moving its new unionized workers to DC plans for another decade, by which time a citizens’ committee of Portlanders had issued a report declaring TriMet “on the brink” of disaster. Union leadership eventually agreed to move all new members to DC pensions by 2013, while protecting existing members from reform. As a result of this delay, the union workers’ DB fund remained only 59 percent funded in 2013. Nevertheless, the trends were now moving in the right direction. The number of active employees still accruing DB pension benefits fell from 1,580 to 1,460 from 2016 to 2017 alone. In 2017 the unionized workers’ DB account reached nearly 80 percent funding, with unfunded liability falling by nearly $50 million in a single year. The DC plan to which TriMet moved new workers has been recognized as one of the best in the country. It features low costs, high returns, and a guaranteed employer contribution that is paid irrespective of employee matching contributions. As a DC plan it does not create open-ended, unpredictable public liabilities to be paid by generations as yet unborn. The description is only a minor exaggeration, as the plan offered TriMet’s unionized employees health care without premiums and with mere $5 co-pays, and benefits that ran not only throughout retirement, but to the employees’ spouses and dependents for fully 16 years after the employees’ deaths. Total unfunded liability for OPEBs reached an astonishing $769 million dollars in 2016. TriMet’s pension reform efforts offer a valuable guide to the Oregon legislature on how to contain and reverse the spiraling PERS disaster. The unfunded liabilities for PERS have grown from $16 billion to more than $25 billion in less than ten years, even with the far-too-optimistic 7.2 percent assumed-savings rate (i.e., discount rate) in place. Were the rate adjusted down to its actuarially appropriate level, PERS’ unfunded liability would explode to $50 billion or more at a stroke. Even at the current recognized rate, funding status has fallen below 70 percent, even while mandatory payments to PERS by government employers have passed 26 percent of payroll. Municipalities are laying off workers, depleting public services, and raising fees in order to fund the present level of recognized PERS unfunded liabilities. Some reduction in pension benefits will have to happen, one way or another. All parties will benefit from an orderly effort to reform benefits while there is still time. The state should follow the tracks laid by TriMet by moving its employees from DB to DC plans as soon as possible. As TriMet has demonstrated, this move will begin to stanch the fiscal wounds that have been inflicted by a generation of recklessly overgenerous pension benefit promises. Unfortunately for everyone, PERS reform has been hamstrung for more than 20 years by a wayward state Supreme Court, which has thwarted previous attempts at thoughtful change with erroneous interpretations of the federal Contract Clause. The legislature will be obliged to make bigger changes than would have been required years ago. 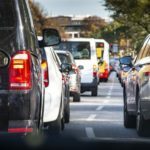 It will have to move all current workers, whenever they were hired, to DC plans for all work performed after the date of the effective legislation. While this reform will be significant, it also will be deeply equitable. Right now, older workers are receiving higher benefits for each hour worked than ever will be available to younger workers. This isn’t fair, and it may violate civil rights laws: Younger workers are more diverse than their older peers, which means that benefit reductions that affect only new workers have a disparate impact on women and minorities. The reform will also pass constitutional muster. 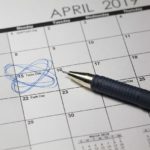 As the Oregon Supreme Court finally recognized in its Moro decision, correcting its long-held error, the legislature may change any benefits for work not yet performed, even for current employees. John A. Charles, Jr. is President and CEO of Cascade Policy Institute, Oregon’s free-market research center. Scott Shepard is a lawyer and was a visiting law professor at Willamette University during 2016. 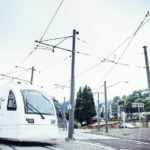 This essay is a summary of a case study of TriMet’s pension reform written by Mr. Shepard for Cascade Policy Institute. The full report is available here. This essay was originally published in the February 2018 edition of the newsletter “Oregon Transformation: Ideas for Growth and Change,” a project of Third Century Solutions. As a public employee, I am grateful for my PERS benefits. However, I acknowledge the need to face the facts and conform to reality. PERS reform is long overdue. I compliment you on your enlightened commentary. I read with great interest the article printed in The Portland Tribune last week re: TriMet’s needing to rethink it’s exceedingly myopic concept of diversity. I am in complete agreement with the idea that differing philosophies and viewpoints are essential and crucial to any sort of comprehensive application/policy of diversity. Unfortunately, the impact of the “dumbing down” has further weakened the historically weak position of this fundamentally progressive concept leaving us with the “same old same old” (that being the domain of diversity consists of gender and race only.) We’re left with a pervasive and stagnant conformity which likely, and also unfortunately, contributes to further prejudice and bigotry. An observation: The “My View” statement that TriMet has almost one billion dollar in unfunded pension and retirement obligations doesn’t seem to concur with the generous kudoes given to their pension plan in your article above. The biggest problem for PERS is the state and local government keep hiring new workers into the Defined Benefit plan, rather than moving all new hires to the Defined Contribution plan. The Individual Account Plan adopted in 2003 is part of a defined benefit plan (the current PERS structure). The post 2003 employees still are defined benefit plan employee/retirees; its only their benefit is about 10% or so lower than the Tier 1 employee/retirees. It’s simple: just move all new hires into defined contribution plans; and by the year 2050 PERS is a fading problem and burden on local government/public schools.